Visit Coach Enloe's website for information on exercises and strategies presented during Camp as well as videos created by Coach Greg. Greg Enloe (Enloe Academy and Water Polo Camps) and his assistant coaches drilled home the following concepts during the 2018 Camp. Key to the game is the way a team plays defense. 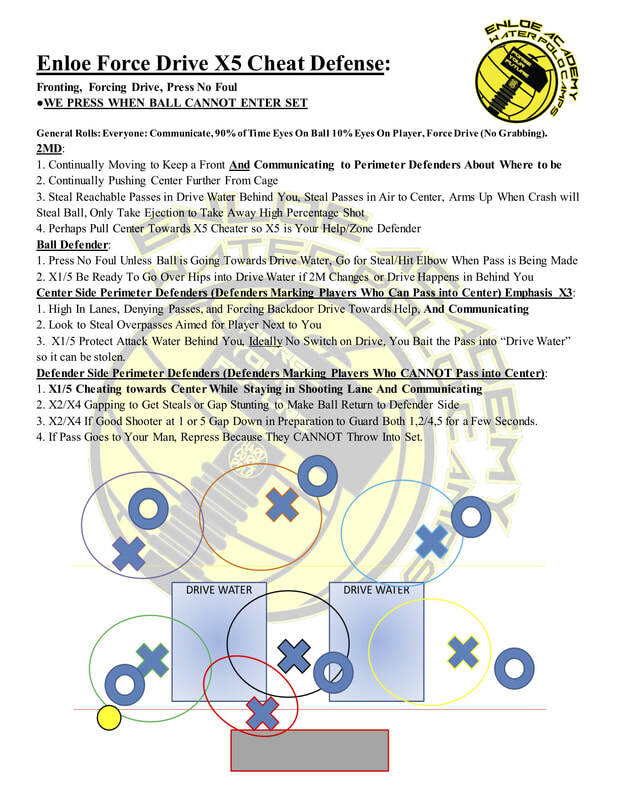 This is accomplished by playing passing lane defense, preventing the ball from moving around the perimeter with easy passing and eventually being passed into the center forward position on the open side. All Blue Thunder Masters teams will be play defense based on these strategies. Download the 3 page guide from Greg Enloe here.